Second Test between Sri Lanka and England started yesterday 3rd June 2011 in London in which England won the toss and elected to bat first. In first innings England scored 486 runs all out in 112 overs. 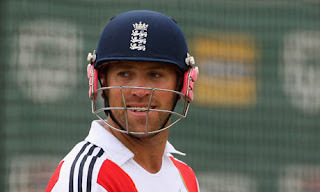 Matt Prior was top scorer for England who made 126 runs. Chanaka Welegedara got 4 wickets for Sri Lanka. Today on second day Sri Lanka is batting in its first inning. Current score is 190 without loss of any wicket. Tillakaratne Dilshan is batting on 112 while Tharanga Paranavitana is batting on 65. Lets see what score Sri Lanka sets up in its first inning in response to 486 of England.